The Napa Valley is a world-renowned destination for wine lovers and general travelers alike. This California wine region is scattered with too many to count wineries, eateries and luxury resorts. 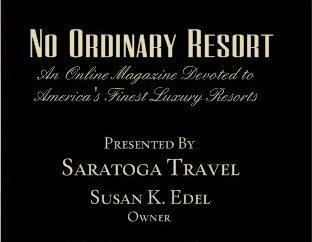 In this saturated market of quaint hotels, charming B&B’s and luxury properties, I have to hand it to Auberge Resorts for establishing not one, not two but three exceptional, award-winning and highly acclaimed properties in this region ~ Auberge du Soleil, Calistoga Ranch and Solage Calistoga. 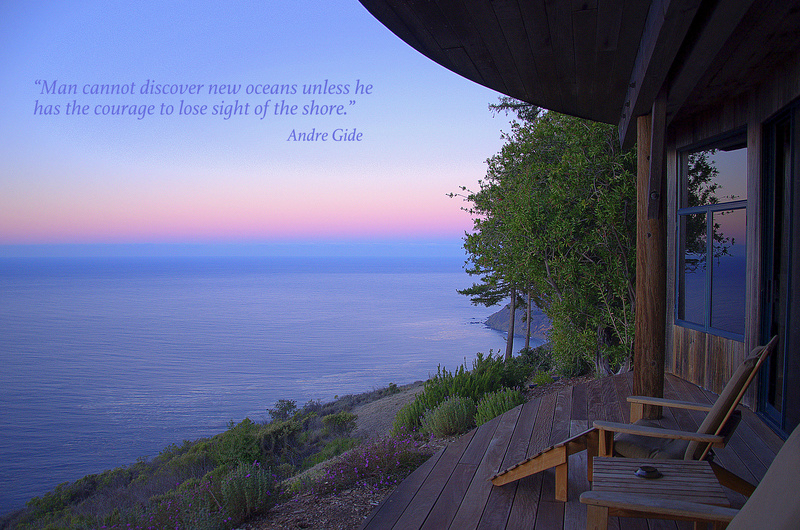 I have yet to stay at Auberge du Soleil (I better get on that!) but I have toured the lovely grounds, and this property is revered by many travel lists and publications. Calistoga Ranch is a truly unique property experience and offers a rustic elegance with its indoor/outdoor living concept which I really enjoy (see post here). And finally, Solage is casual luxury at its finest. 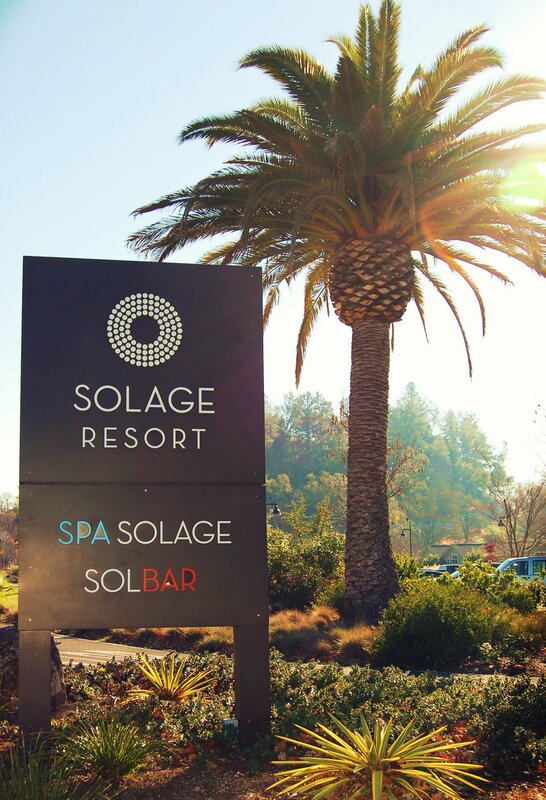 All three properties have something unique to offer but I will go out on a limb and say that Solage is probably the resort that will appeal to the broadest majority (and their pocketbook in comparison to the other two properties). 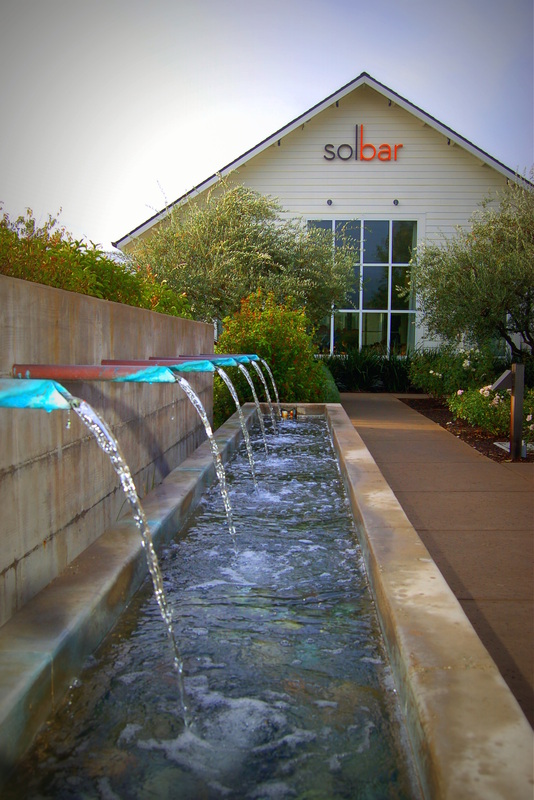 Solage is located in the quaint town of Calistoga. Since its debut in 2007, the resort has garnered acclaim and numerous awards from many leading travel, dining, spa and lifestyle publications. They house a Michelin Star restaurant ~ SolBar, Travel and Leisure has named them on the 500 World’s Best List, Conde Nast Traveler has placed them on their Hot List, Best Spa List and the accolades go on and on. The resort reflects a casual, relaxed attitude but it’s all luxury. The property is comprised of individual cottages that include two cruiser bikes for getting around the resort or to ride into downtown Calistoga less than a mile away. They operate on an eco-friendly philosophy incorporating an extensive recycling program, use of solar panels, non-toxic cleaning products, organic produce and other environmentally friendly practices. There are 83 cottages and 6 one-bedroom suites which are designed with clean lines, simplicity and comfort in mind. There is an inviting feeling from the moment you walk into these units. The rooms are spacious and large sliding doors open up to a patio with comfy furniture for your lounging pleasure. Capella suites offer private patios and hot tubs. The Vega and Atlas cottages are, by all accounts, considered their basic units. The difference being that the Atlas cottages have a deluxe tub. The Adara cottages offer the tub and a gas fireplace, and the Capella Suites are larger one-bedroom units and offer a private patio with a hot tub. I have stayed here a couple of times, in both the Vega and Adara cottage. Depending on the time of year, I might choose the Adara cottage with the gas fireplace in the colder months, but I have to say that my favorite might be the Vega cottage #64 because of its location with a fairly private and serene open field view beyond the patio – not all cottages offer this view. There are several different category cottages in this general location numbered in the mid-60’s that offer a similar view. As mentioned, Solage has a Michelin Star rated restaurant called SolBar. I love the ambiance and food at this restaurant. The atmosphere is inviting, casual and so comfortable. So much so, that I have actually never eaten at a table inside the restaurant (reservations definitely recommended if you do want to), I usually eat sitting in the bar lounge on the comfy sofas or outside by the fire pits. This restaurant is the perfect choice to enjoy a 4 star meal without a stuffy dress code. The menu offers a variety of interesting dishes and the bar creates signatures cocktails to compliment each season. Gather here with friends or enjoy a date night, it all works here. I highly recommend coming here for a meal even if you are not staying at the resort. SolBar also provides for in-room dining. One of the best aspects of this property is Spa Solage. Conde Nast Traveler has voted this spa #1 in the Americas and Caribbean and #10 in the world…that’s impressive. Calistoga has always been known for their mud baths but Solage takes it to a new level by offering a three-step mudslide experience. First, you step up to a mud bar and concoct your own mud blend, then you apply the mud to your skin ~ I suggest doing the couples treatment so you have someone to help you, and then rest in your private mud lounge until you are whisked away for step two. This is where you will soak in a luxurious oversized tub filled with mineral water from the spring and hydrate your skin; and lastly, you are taken to yet another private room where you are wrapped up like a cocoon and you can listen to music and let yourself drift away…and you will drift away. It’s one of the most relaxing treatments I’ve ever had! The property also has several mineral water pools, a fitness center and offers yoga and various exercise classes. If pampering yourself at the resort doesn’t keep you busy enough, you won’t be at a lack for things to do. Take a luxury ride ~ Solage offers a complimentary Mercedes Benz car rental program. As a guest, you are able to take one of their cars out for up to a 4 hour excursion on a first come, first serve basis. The convertible is a really fun option on a gorgeous day. There are many adorable towns nearby to visit such as St. Helena, Yountville, Sonoma and so many more. If you are more the adventurous type, view the wine country from a hot air balloon (see here). And of course, let’s not forget you are in California Wine Country! If you want to go out and experience some of the many exquisite wineries in the area, I would highly suggest taking a private or guided wine tour so you can drink freely and enjoy your day without the worries of driving (see here). Even if you are not a wine lover, the wineries and their properties are all so gorgeous, it’s well worth the trip. The Wine Train is also another fun and unique option offering lunch, dinner and wine tours. Solage Calistoga is a property that will appeal to almost everyone and is a great option for couples, girl’s trip, or travel with friends. There is a little something for everyone here.